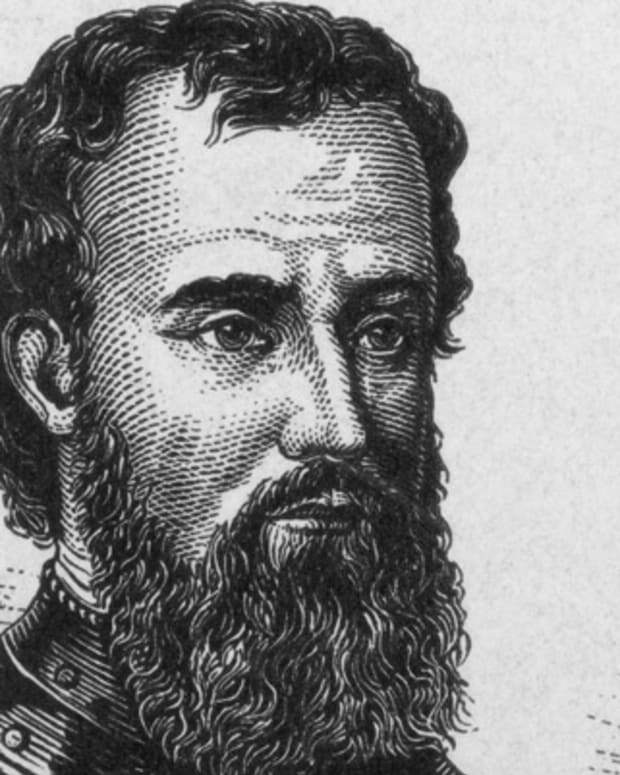 Explorer Amerigo Vespucci was born March 9, 1451, (some scholars say 1454) in Florence, Italy. 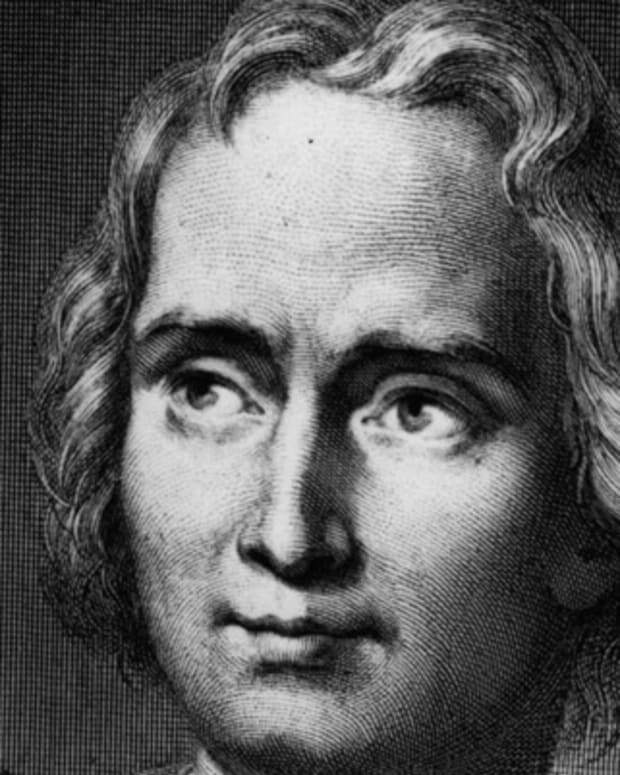 On May 10, 1497, he embarked on his first voyage. On his third and most successful voyage, he discovered present-day Rio de Janeiro and Rio de la Plata. 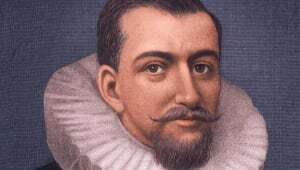 Believing he had discovered a new continent, he called South America the New World. In 1507, America was named after him. 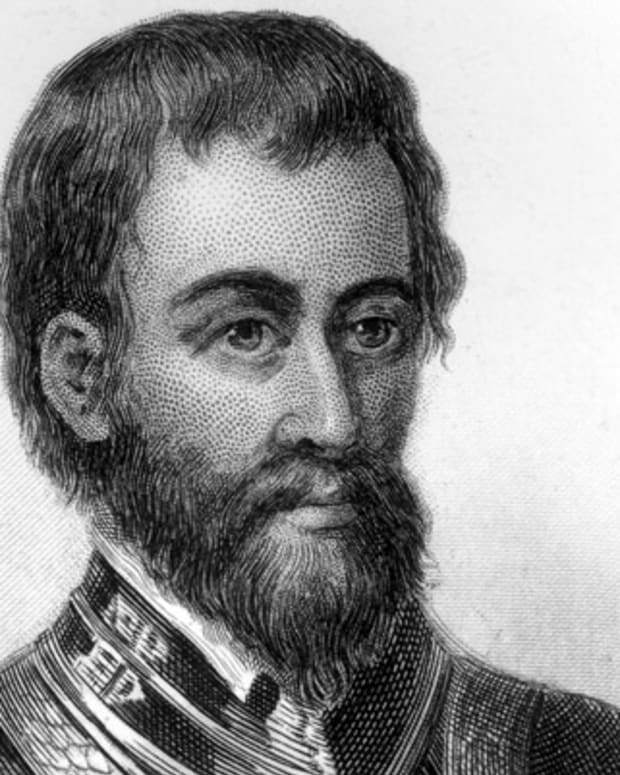 He died of malaria in Seville, Spain, on February 22, 1512. 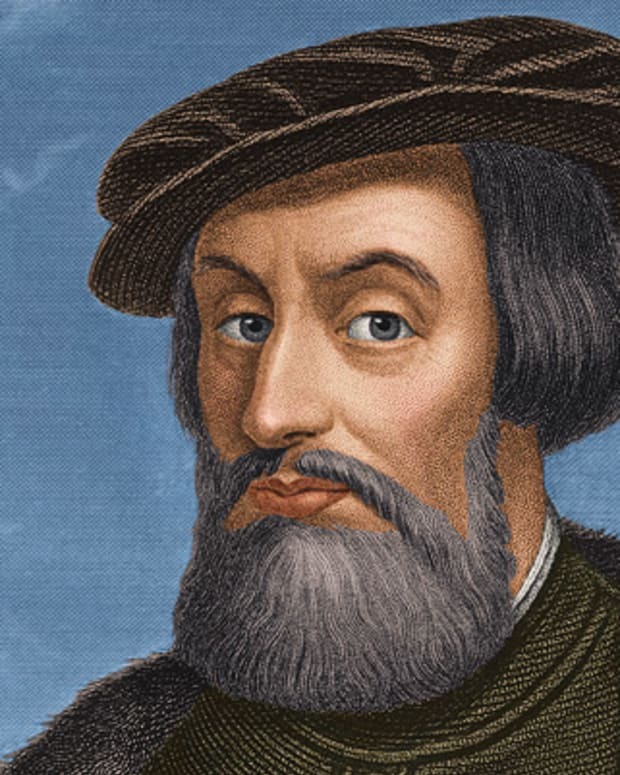 Navigator and explorer Amerigo Vespucci, the third son in a cultured family, was born on March 9, 1451, (some scholars say 1454) in Florence, Italy. Although born in Italy, Vespucci became a naturalized citizen of Spain in 1505. Vespucci and his parents, Ser Nastagio and Lisabetta Mini, were friends of the wealthy and tempestuous Medici family, who ruled Italy from the 1400s to 1737. Vespucci&apos;s father worked as a notary in Florence. While his older brothers headed off to the University of Pisa in Tuscany, Vespucci received his early education from his paternal uncle, a Dominican friar named Giorgio Antonio Vespucci. When Amerigo Vespucci was in his early 20s, another uncle, Guido Antonio Vespucci, gave him one of the first of his many jobs. Guido Antonio Vespucci, who was ambassador of Florence under King Louis XI of France, sent his nephew on a brief diplomatic mission to Paris. The trip likely awakened Vespucci&apos;s fascination with travel and exploration. In the years before Vespucci embarked on his first voyage of exploration, he held a string of other jobs. When Vespucci was 24 years old, his father pressured him to go into business. Vespucci obliged. At first he undertook a variety of business endeavors in Florence. Later, he moved on to a banking business in Seville, Spain, where he formed a partnership with another man from Florence, named Gianetto Berardi. According to some accounts, from 1483 to 1492, Vespucci worked for the Medici family. During that time he is said to have learned that explorers were looking for a northwest passage through the Indies. In the late 1490s, Vespucci became affiliated with merchants who supplied Christopher Columbus on his later voyages. 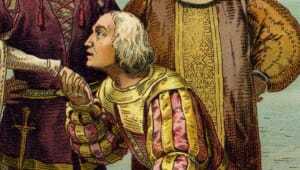 In 1496, after Columbus returned from his voyage to America, Vespucci had the opportunity to meet him in Seville. The conversation piqued Vespucci&apos;s interest in seeing the world with his own eyes. By the late 1490s, Vespucci&apos;s business was struggling to make a profit anyway. Vespucci knew that King Ferdinand and Queen Isabella of Spain were willing to fund subsequent voyages by other explorers. Then in his 40s, Vespucci, enticed by the prospect of fame, decided to leave his business behind and become an explorer before it was too late. According to a letter that Vespucci might or might not have truly written, on May 10, 1497, he embarked on his first journey, departing from Cadiz with a fleet of Spanish ships. The controversial letter indicates that the ships sailed through the West Indies and made their way to the mainland of Central America within approximately five weeks. 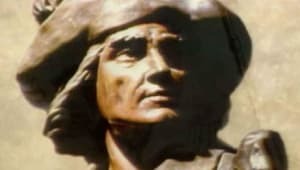 If the letter is authentic, this would mean that Vespucci discovered Venezuela a year before Christopher Columbus did. Vespucci and his fleets arrived back in Cadiz in October 1498. In May of 1499, sailing under the Spanish flag, Vespucci embarked on his next expedition, as a navigator under the command of Alonzo de Ojeda. Crossing the equator, they traveled to the coast of what is now Guyana, where it is believed that Vespucci left Ojeda and went on to explore the coast of Brazil. 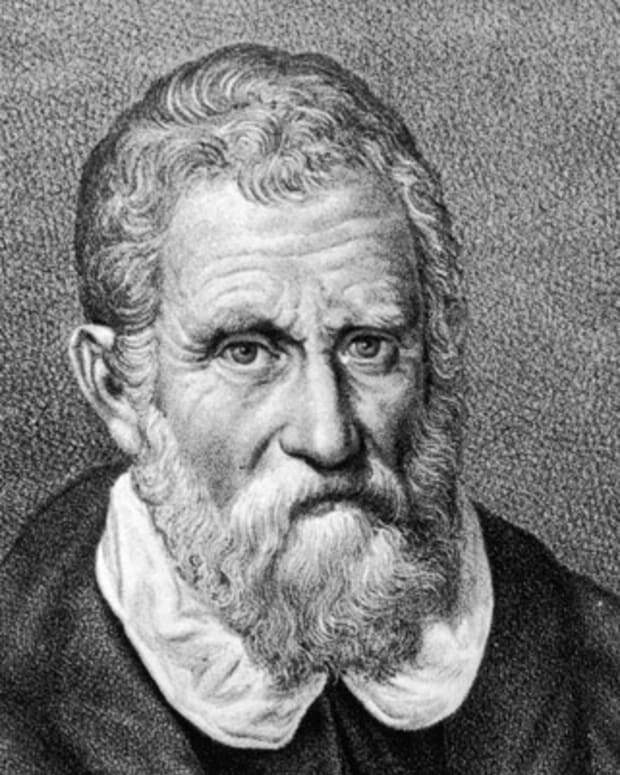 During this journey Vespucci is said to have discovered the Amazon River and Cape St. Augustine. On May 14, 1501, Vespucci departed on another trans-Atlantic journey. Now on his third voyage, Vespucci set sail for Cape Verde—this time in service to King Manuel I of Portugal. Vespucci&apos;s third voyage is largely considered his most successful. 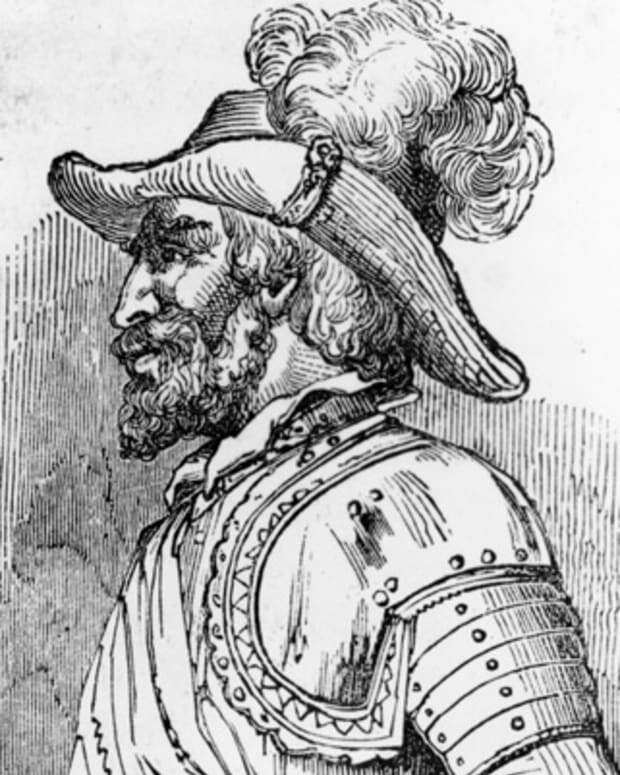 While Vespucci did not start out commanding the expedition, when Portuguese officers asked him to take charge of the voyage he agreed. Vespucci&apos;s ships sailed along the coast of South America from Cape São Roque to Patagonia. 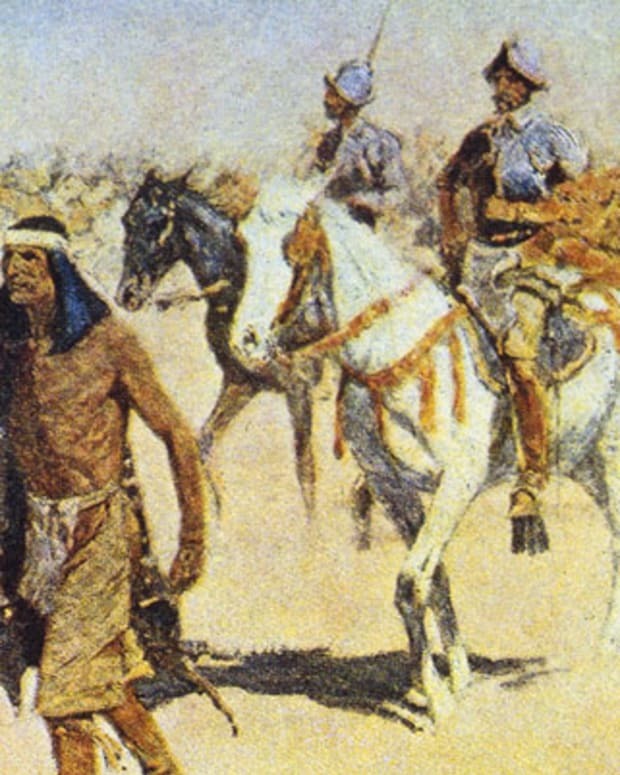 Along the way, they discovered present-day Rio de Janeiro and Rio de la Plata. Vespucci and his fleets headed back via Sierra Leone and the Azores. 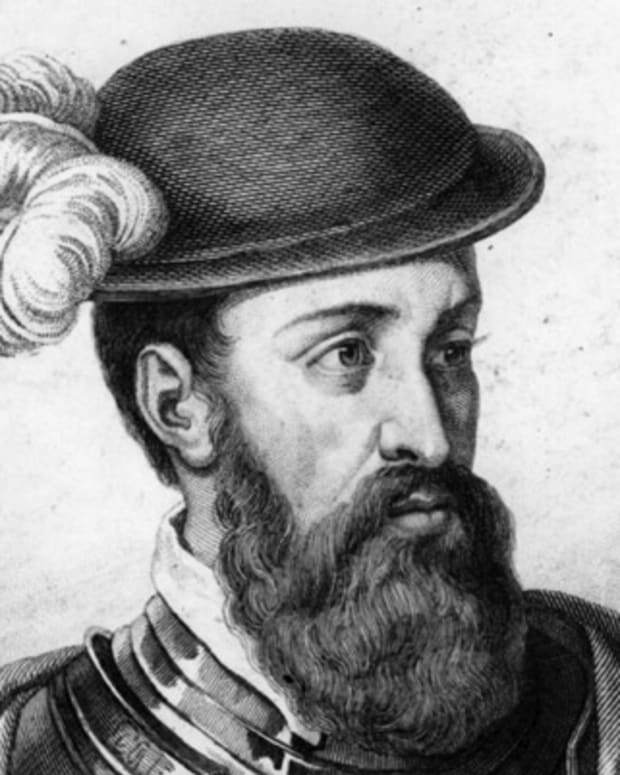 Believing he had discovered a new continent, in a letter to Florence, Vespucci called South America the New World. 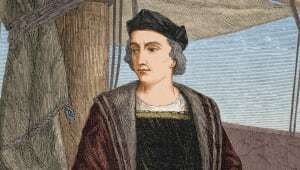 His claim was largely based on Christopher Columbus&apos; earlier conclusion: In 1498, when passing the mouth of the Orinoco River, Columbus had determined that such a big outpouring of fresh water must come from land "of continental proportions." 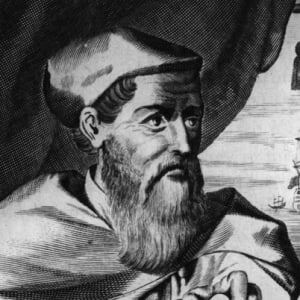 Vespucci decided to start recording his accomplishments, writing that accounts of his voyages would allow him to leave "some fame behind me after I die." 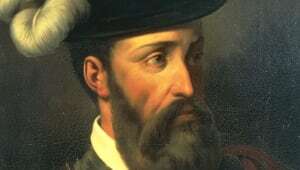 On June 10, 1503, sailing again under the Portuguese flag, Vespucci, accompanied by Gonzal Coelho, headed back to Brazil. When the expedition didn&apos;t make any new discoveries, the fleet disbanded. 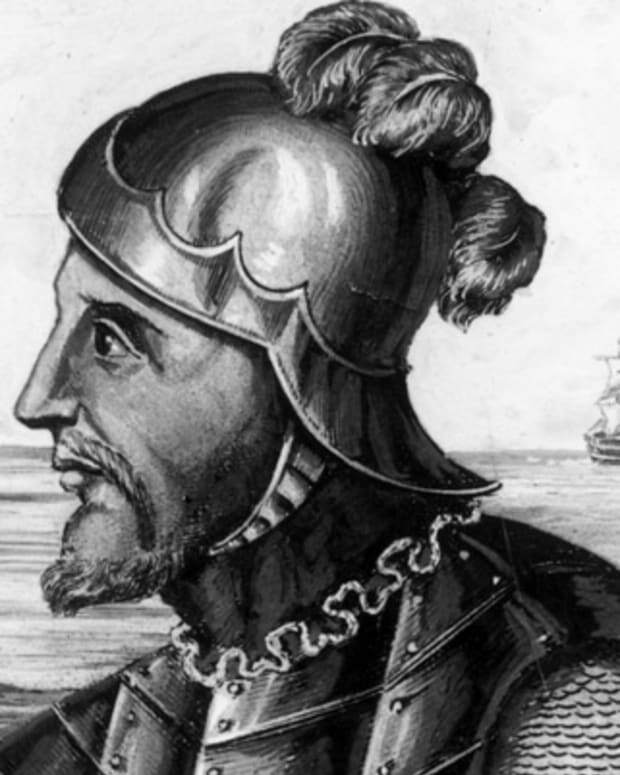 To Vespucci&apos;s chagrin, the commander of the Portuguese ship was suddenly nowhere to be found. Despite the circumstances, Vespucci forged ahead, managing to discover Bahia and the island of South Georgia in the process. 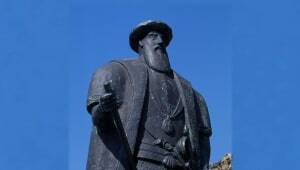 Soon after, he was forced to prematurely abort the voyage and return to Lisbon, Portugal, in 1504. There is some speculation as to whether Vespucci made additional voyages. Based on Vespucci&apos;s accounts, some historians believe that he embarked on a fifth and sixth voyage with Juan de la Cosa, in 1505 and 1507, respectively. 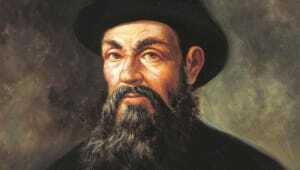 Other accounts indicate that Vespucci&apos;s fourth journey was his last. In 1507, some scholars at Saint-Dié-des-Vosges in northern France were working on a geography book called Cosmographiæ Introductio, which contained large cut-out maps that the reader could use to create his or her own globes. German cartographer Martin Waldseemüler, one of the book&apos;s authors, proposed that the newly discovered Brazilian portion of the New World be labeled America, the feminine version of the name Amerigo, after Amerigo Vespucci. The gesture was his means of honoring the person who discovered it, and indeed granted Vespucci the legacy of being America&apos;s namesake. Decades later, in 1538, the mapmaker Mercator, working off the maps created at St-Dié, chose to mark the name America on both the northern and the southern parts of the continent, instead of just the southern portion. 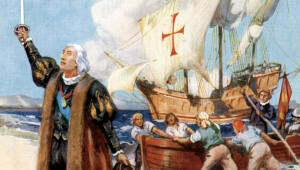 While the definition of America expanded to include more territory, Vespucci seemed to gain credit for areas that most would agree were actually first discovered by Christopher Columbus. In 1505, Vespucci, who was born and raised in Italy, became a naturalized citizen of Spain. Three years later, he was awarded the office of piloto mayor, or master navigator, of Spain. In this role, Vespucci&apos;s job was to recruit and train other navigators, as well as to gather data on continued New World exploration. Vespucci held the position for the remainder of his life. On February 22, 1512, Amerigo Vespucci died of malaria in Seville, Spain. He was just a month shy of 58 years old.